Happy April Fools Day! To trick you all, I'm posting a day ahead of schedule. AKA: Best prank ever. Colored frames always freak me out a little. I mean, it takes me back to elementary school when girls would coordinate their glasses with their braces. Well, that's what my friends did at least. We obviously were not the coolest kids on the playground. When Firmoo got in contact with me about reviewing another pair of their glasses, I figured I'd shake off my elementary school fears and try a more colorful frame. While these aren't obnoxiously neon hued or anything, they're definitely a step outside my comfort zone! However, with a well designed frame, and a subtle pink shade, I find myself reaching for these glasses over my usual black frames. 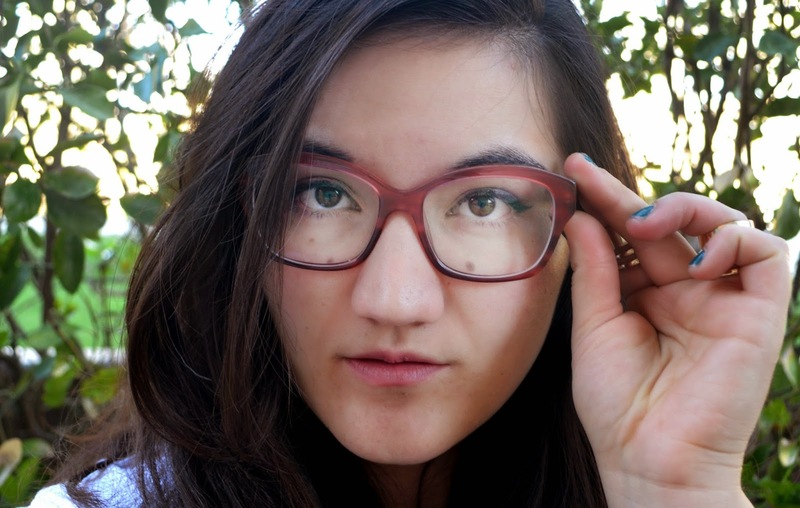 They're a fun alternative to the typical type of glasses you see on everyone! 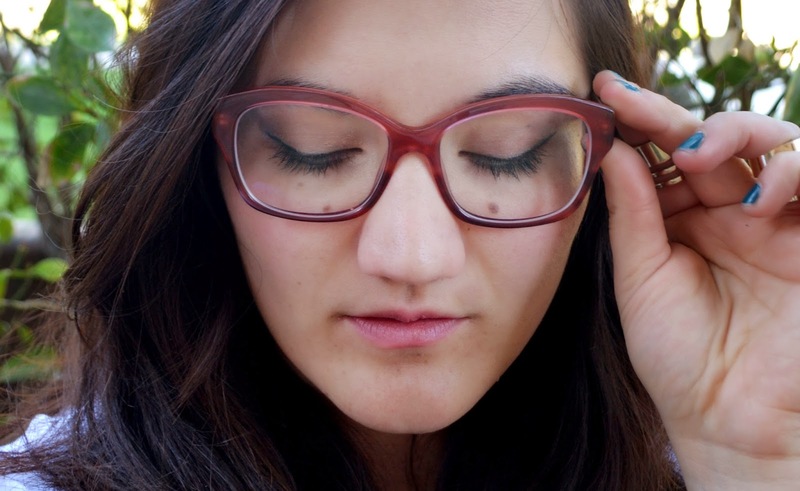 I'm happy to see that rocking the four eyes look is getting more popular, which I am all for! So to help my fellow hipsters out, don't forget that Firmoo offers a 50% off discount to all new customers! Get your discount code HERE. If you've been wanting to try a new frame, this is the perfect way. 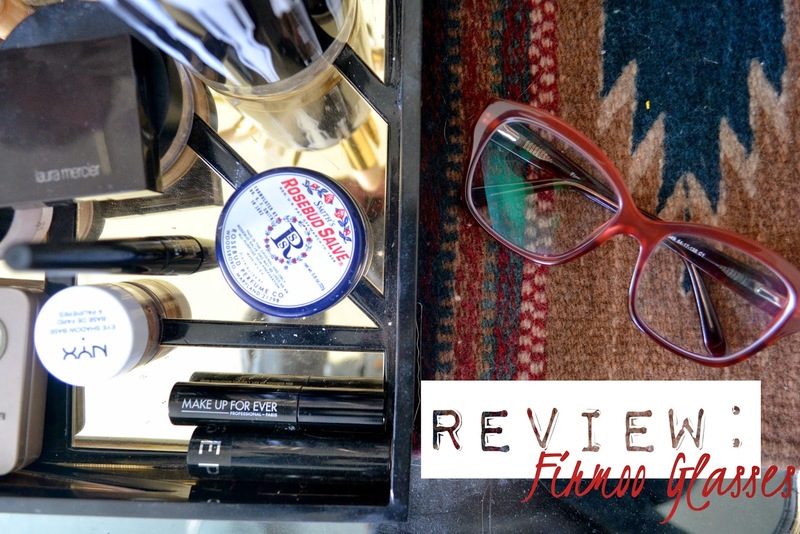 I can assure you that your prescription glasses will arrive in perfect condition just as if you'd gone to any fancy eye-wear boutique - and at a more affordable price! I don't want to jinx anything, but my word, the weather has been absolutely glorious the past few days. 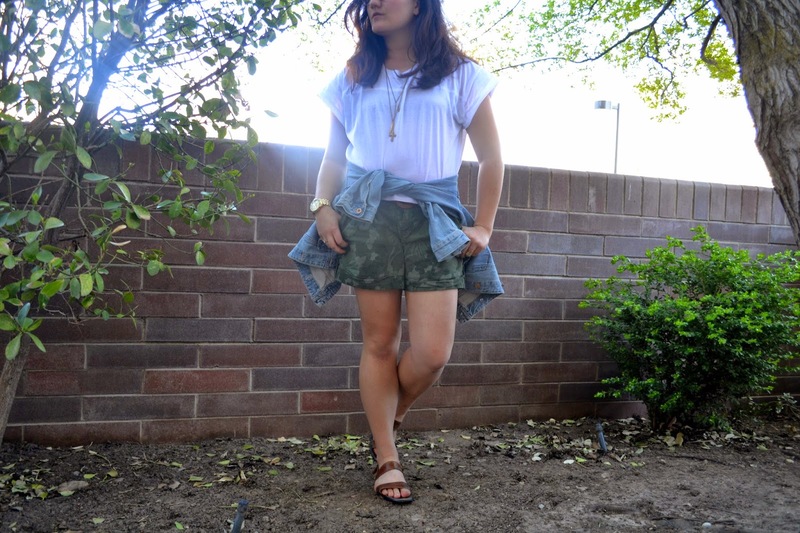 As you can see, I'm bare legged and in a pair of my summer shorts for this post! I took a walk by the Green Belt River and soaked in the rays for as long as possible. Along the way, I found a nice little cove by the river where I kicked off my sandals, dug my toes into the sand, and pretended I was at the beach. What is it about that magical combination of sun, sand, and water? It makes me wistful for a trip to the beach, and I hope this summer I might return to the West Coast for a visit. Until then, at least I can pretend! Those glasses are awesome. I love the color & the shape of the frames. 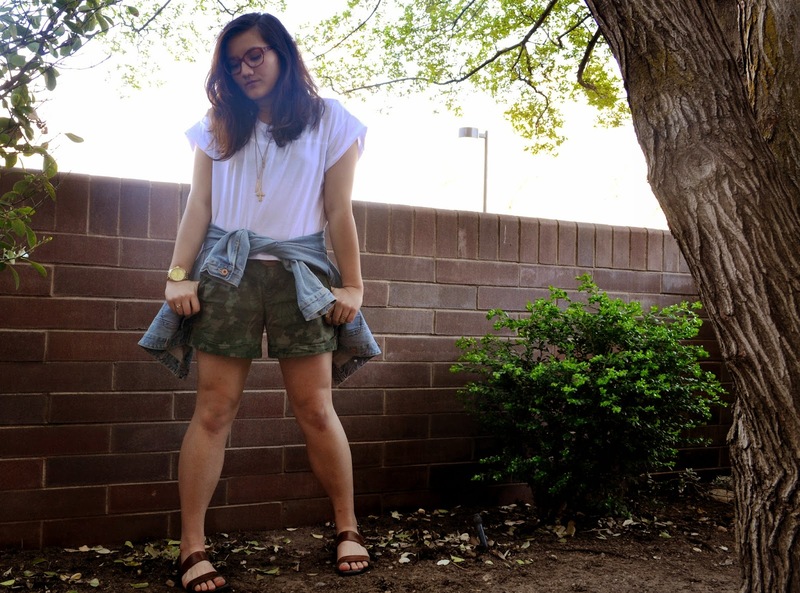 Your shorts are amazing as well. Looks like camo from afar! these frames look great on you. You were right to shake them off, I think those glasses are cool on you! love the pink color!! so pretty :) really complements you! Nice glasses and I like your casual look! 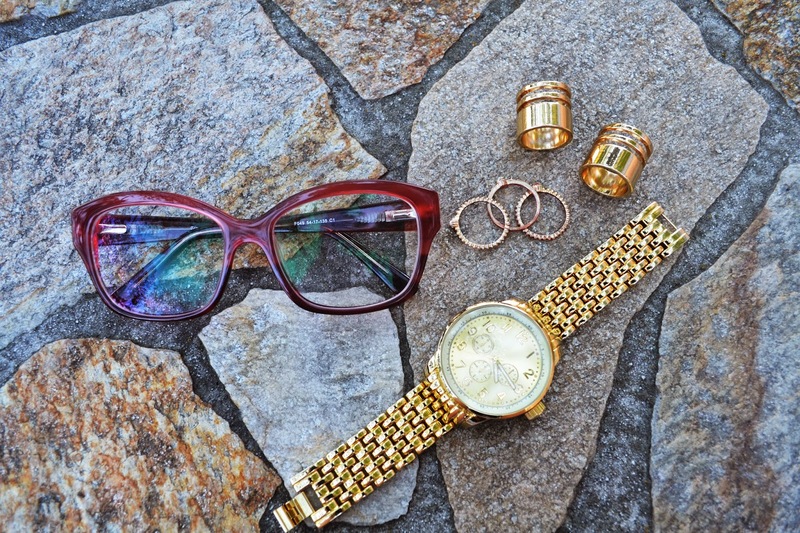 I absolutely love all the accessories you paired with this outfit! They are so beautiful! You look great! I love those frames, I should definitely try Firmoo sometime. Very cool shorts Linda! And great review too! Love the outfit! Those shorts are so cute. The colorful frame of this glasses is adorable, I like the shape and the way this Firmoo eyewear look on you! Nice choice, Linda! Me and my friends did that, too... when I look back I shudder at the memory. The frames look amazing on you, though! I also wrote a review for Firmoo (here ^^) !